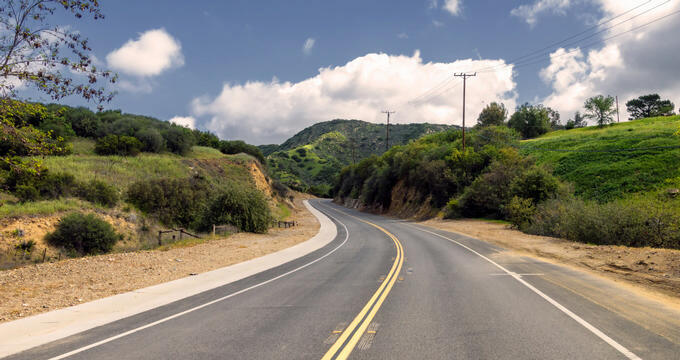 Calabasas is often associated with being the home of the Kardashians, but the Los Angeles County city is much more than a haven for Hollywood’s elite. Spend the day outdoors hiking, biking, and picnicking at Malibu Creek State Park or Calabasas Creek Park. The Commons at Calabasas is a chic shopping and entertainment complex owned and operated by American billionaire businessman and philanthropist, Rick Caruso. 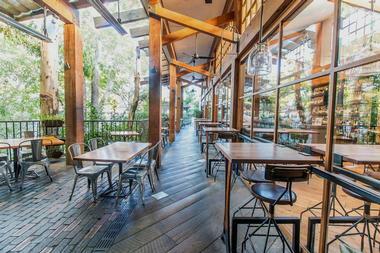 The high-end shopping center has become somewhat of a tourist destination as it is frequented by several celebrities. It has been home to many retail, lifestyle, and specialty shops, as well as entertainment and dining venues, since its opening in 1998. Even if you’re not in the mood to shop at stores like Sephora, Barnes & Noble, and Williams-Sonoma, stop by to take in the architectural beauty of the structure which resembles a Mediterranean style Tuscan hill town center in rural Italy. 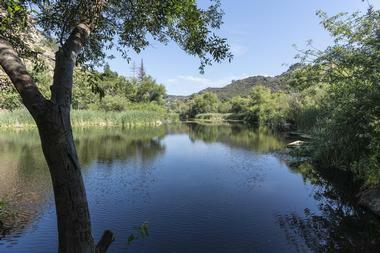 The 8,215-acre Malibu Creek State Park was established in 1974 as a means of preserving the Malibu Creek Canyon in the Santa Monica Mountains. 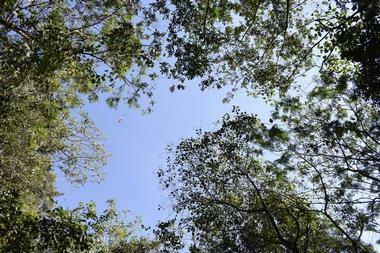 There are three natural preserves in the park which you can explore: Kaslow Preserve, Liberty Canyon, and Udell Gorge. A visit there will let you learn all about the land’s history and how it was initially inhabited by the native Chumash people - you may even see remains of their homesteads which still stand today. Activities that visitors are invited to participate in at the park include hiking, picnicking, fishing, mountain biking, horseback riding, rock climbing, and bird watching. Leonis Adobe is one of the oldest surviving structures in the San Fernando Valley. It was built in 1844 as the private residence of Miguel Leonis, a wealthy rancher. It has since been listed on the National Register of Historic Places and is now a living museum which transports visitors back in time to a California ranch style of life. A visit there is fun for the entire family and displays what life was like in the 1800s complete with a tour of the barn and blacksmith shop. Younger visitors love the opportunity to meet, pet, and feed many of the ranch’s animals as well. Owned and operated by the Hindu Temple Society of Southern California, the Malibu Hindu Temple has been in Calabasas since 1981. The temple is dedicated to the Hindu God Venkateswara and attracts visitors from all over the US as it is one of the largest Hindu temples on the west coast. Visitors love exploring the temple and its magnificent architecture and exterior covered in carvings. You can make use of the temple’s several public spaces such as its designated meditation spaces and the peaceful manicured greens where you can enjoy a picnic. There are numerous celebrations, ceremonies, and gatherings at the temple, including cultural programs which everyone is invited to attend. Former property of the razor baron King C. Gillette, the King Gillette Ranch is now a part of California’s beautifully preserved Malibu Creek State Park. Visitors are invited to explore the ranch and the vast public spaces surrounding it. The ranch itself was designed by architect Wallace Neff in the 1920s, and in addition to that, you’ll also be able to see a well-preserved Chumash settlement. The area has many rich historic, cultural, and archaeological resources which visitors can learn a lot about during their visit there. Additional activities that are popular at King Gillette Ranch include hiking, bicycling, picnicking, and taking photographs. Though a pet cemetery may not be something you think of when looking for things to do, the Los Angeles Pet Memorial Park is quite a popular place to visit when in Calabasas. The park was founded by veterinarian Dr. Eugene C. Jones who first opened a hospital and eventually expanded. There are now over 42,000 animals who were laid to the rest at the park, with many of them being famous animal companions of Hollywood stars. Some of the pets you’ll come across on the grounds include Humphrey Bogart’s dog, Droopy, the dog from The Little Rascals, Spot, and one of the famous MGM Lions, Room 8. 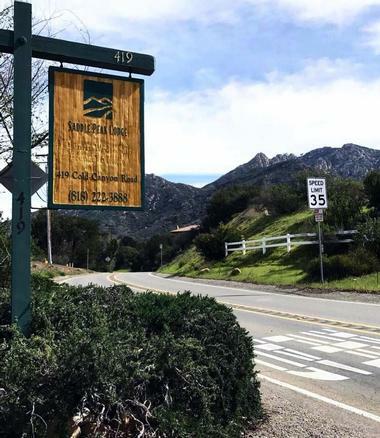 Saddle Peak Lodge has a rich and colorful history that goes back over a hundred years; some remember it as a roadhouse or a pony express top, while others knew Saddle Peak as a hunting lodge. 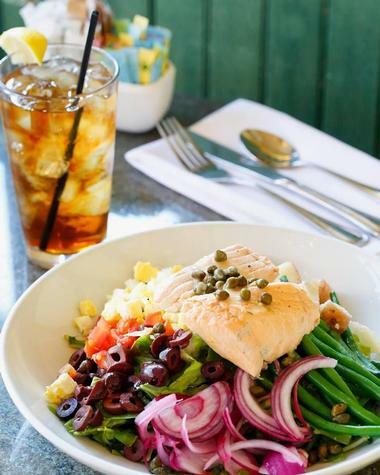 They are known for serving some of the most delicious food in the area and have a menu that is so varied it’s sure to please even the most particular palate. Stop by for their famed brunch to try mouthwatering options such as the Alaskan benedict, the crab cake benedict, and the Monte Nido scramble with sonoma goat cheese and grilled broccoli. Try out some of their more unique offerings such as the charred shishito peppers and the New Zealand elk served with English pea bacon jam. 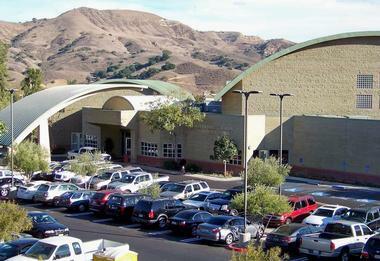 Situated in the foothills of the Santa Monica Mountains, the Agoura Hills/ Calabasas Community Center is a public facility that offers numerous educational, recreational, and social activities to people of all ages. Classes that are available there vary drastically from basic tango classes and fencing to rock climbing and learning how to play mah jongg. Little ones love participating in the center’s sports camp and summer camp. There are several events held at the community center throughout the year which bring the entire community together; for example, their Halloween Spooktacular and the West Coast Swing Dance Party are occasions that everyone looks forward to. Owned and maintained by the Leonis Adobe Museum, Calabasas Creek Park is a beautiful space that can be found right in the middle of downtown Calabasas. There are so many different aspects of the park for visitors of all ages to enjoy. 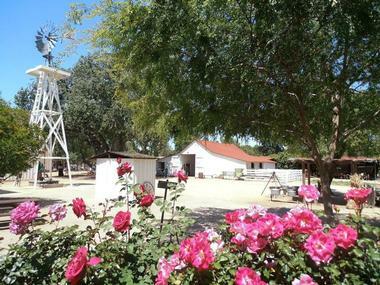 The 1880 period park has several live exhibits including original antique park and garden furniture, a replica of the Calabasas Jail, and replicas of several other architectural elements. Further exploration in the north end of the park will reveal an authentic recreation of a Chumash village where you can learn about how the native people lived long before. Pedalers Fork is a lovely lifestyle restaurant that combines delicious food and cycling with refreshing coffee and craft beer. With a farm to table approach, all of the meals offered are made with quality meats, poultry, fish, produce, and fruits. Some items off their menu which are popular with their patrons are the beef brisket, grass-fed burger, truffle fries, and their Devils on Horseback appetizer which are dates stuffed with bleu cheese and wrapped in bacon. After your meal, be sure to stop by their attached boutique cycling shop and pick up anything you need for a fun ride. Often referred to as “the house that seafood built” the King’s Fish House restaurant offers a rustic dining experience that brings out the flavors of their dishes rather than masking them. Their menu changes often depending on what is freshly available so that you have the ultimate seafood experience. Start out with some of their delicious appetizers such as crab cocktail, N’awlin’s BBQ shrimp, and the blackened shrimp taquitos. 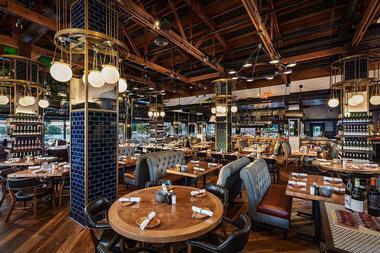 You can then choose oysters and shellfish from their raw bar, pick one of their delicious salmon entrees, or feast on a ‘fish house favorite’ such as the cioppino with rock crab, the farmed savory clam linguine, or their lemon-nut crusted wild local white sea bass. The Marmalade Cafe was opened over twenty years ago by three entrepreneurs who had a passion for food and a dream to serve customers with fresh, mouthwatering cuisine. The decor and design of the cafe is extremely unique and is filled with Americana antiques in every corner. The cafe serves breakfast, lunch, and dinner with items such as their roasted turkey hash, ginger chicken pot stickers, and the free-range chicken pot pie being favored by their patrons. The cafe is extremely popular for brunch; be sure to pair your meal with a featured beverage such as a brunch-a-rita or a sparkling rosé mimosa.